Ukraine's new prime minister made a grand entrance to his post, raising gas tariffs by 91%. Now, he says he's worried about Ukraine turning into a raw-materials' appendage. Ukrainian political economists Denis Denisov and Sergei Slobodchuk recall Ukraine's decline from a major European economic power to a third world backwater. Just over a month has passed since ex-Rada Speaker Volodymyr Groisman replaced Maidan disciple Arseniy Yatsenyuk, who resigned in disgrace with approval ratings hovering in the low single digits in April. Not enough time has passed to assess the new prime minister's competence, but ordinary Ukrainians have already received a hint as to his intentions: the new household gas tariff introduced on May 1, which raised the price paid by consumers nearly 91%, has been described as 'cannibalistic', with rural residents saying they are already resorting to heating their homes and preparing meals using woodstoves instead of gas. 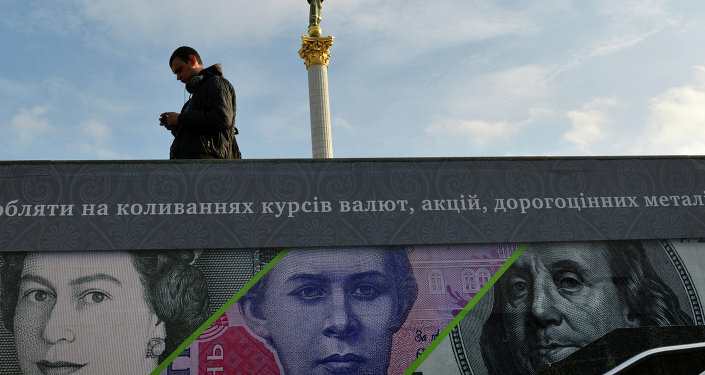 The rate hike was one of the conditions set by the IMF for Ukraine to obtain the next tranche of its $17 billion loan, and Groisman dutifully complied. Now, the prime minister has set his sights on another issue. In a recent interview with the Ukrainian newspaper Ukrainskaya Pravda, Groisman complained that Ukraine's economy risks becoming a raw-materials appendage. "Factually, we sell grain, steel, and so on. We must learn how to make domestic production," the prime minister said, presumably referring to high value added industrial or processed goods. The politician said that remedying the situation would require judicial reform and the reduction of bureaucratic inspections which "strangle business and engage in corruption." Commenting on the prime minister's remarks, independent Russian newspaper Svobodnaya Pressa suggested that it's unclear how judicial reform could save the country from becoming a raw materials appendage. "The question," the paper suggested, "is whether Ukraine is capable of creating products which could become a panacea to save the country from further economic degradation." For answers to this question, the paper turned to Ukrainian political economists Denis Denisov and Sergei Slobodchuk. Denisov, the director of the Ukrainian branch of the CIS Institute, said that first things first, "right now, the most important thing for Ukraine is to stop the civil war. Everything else is details and minutia compared to what is happening in the Donbass." Secondly, he noted, "if we are talking about innovation and high-tech, capable of independently functioning and supplying Ukrainian-made products to foreign markets, we have to admit: Ukraine does not have such areas. Those remnants of high-tech enterprises, in the field of space exploration, rocketry, nuclear energy, all of them, from the beginning and to the present day have been directly linked with the same sectors of the Russian economy. Creating something exclusively Ukrainian [in these areas] will take a very, very long time, something Ukraine does not have. Besides, no one is ready to provide the necessary investment." "Therefore," Denisov lamented, "Groisman's talk is nothing but wishful thinking, because everyone (except Kiev, apparently) understands perfectly well what role awaits Ukraine. It's no accident that US Ambassador Jeffrey Pyatt speaks about a Ukrainian 'agrarian superpower'." "According to this concept, high technology isn't necessary. What is necessary is cheap labor, and our country's fertile black soil." Even worse, if the moratorium on the sale of the land is lifted, "this asset too, apparently, may be lost, and in the nearest possible future." Ultimately, the analyst suggested that Groisman's remarks, and those of his predecessors, are simply empty slogans for public consumption. For instance, "let's say that Ukraine creates its own, fully Ukrainian civilian aircraft; a quarter of a century has passed, and we have failed to do so. And in all likelihood it won't work now either, given a simple assessment of the global market: who needs a Ukrainian plane, when there is Airbus and Boeing?" For the record, during the Soviet period, Ukraine was an aviation superpower in its own right, with its famous Antonov Design Bureau producing literally tens of thousands of aircraft, and designing some of the great planes of the 20th century, including the An-225 Mriya, the world's largest strategic airlift cargo aircraft, and the An-24, a popular 44-seat turboprop passenger plane widely used in Eastern Europe for nearly half-a-century and still being produced in China. The Antonov An-225 Mriya, the world's biggest aircraft, built in Ukraine during the Soviet era. Today the country's aviation industry is on the verge of collapse. Today, Denisov noted, "it's all very obvious: Europe and the United States are not interested in seeing Ukraine becoming a high-tech country; it's the same story with the rest of Eastern Europe. Recall that before the outbreak of the Balkan wars in the early 1990s, Yugoslavia too produced airplanes. Look at Serbia, Croatia, Slovenia, Bosnia and Herzegovina today – they don't even produce tractors anymore. This is a conscious process of deindustrialization, and one which is also taking place in Ukraine as well." 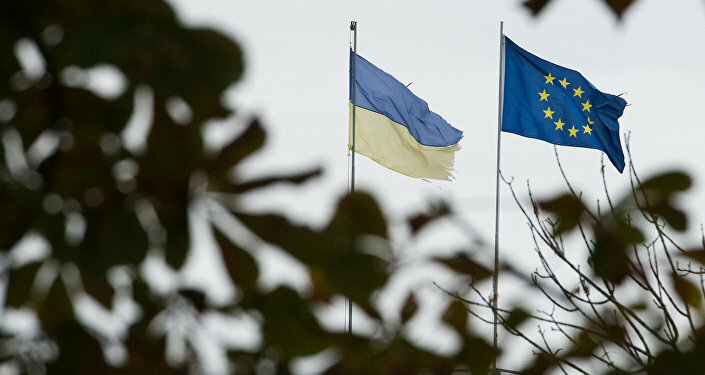 For his part, Kiev-based political scientist Sergei Slobodchuk said that Groisman's concerns are understandable, since the risk of Ukraine becoming an agrarian backwater is very real. "This is something the press writes about; it's something experts talk about; Groisman formulated things more harshly, because the next stage of the country's degradation is becoming a raw materials appendage – that is, not even an agrarian state, but simply a supplier of raw materials; an agrarian country can at least produce food, which requires a materials processing industry, a primary processing industry, an agricultural industry…"
Furthermore, Slobodchuk noted, even Groisman's expression of confidence about the agricultural sector, given in the same interview, was premature. "It's very symbolic that only yesterday, the Ministry of Agrarian Policy announced that Ukrainian maize producers had already reached their quota for the supply of its product to European markets for the year…and it's only May. That is, in four months the quotas have been filled and now we don't know where to sell the remainder of our production." "In agricultural processing, things are not so good either," the analyst added. "Therefore, Ukraine faces being reduced to simply selling raw materials, and again, only where they are allowed. The quotas set by the EU are very strict, and very small, considering the size of the European market," and Ukrainian production capabilities. Ultimately, Slobodchuk warned that Ukraine's economy risks becoming an impoverished third world backwater. "The Congo is a classic example…It's the richest country in Africa, and at the same time one of the poorest in the world. The country has everything – diamonds, gold, uranium. But they sell only raw materials. That is, they do not have their own industry." Today, the analyst said, the industries capable of bringing high added value, "the industrial base required to do so, is deteriorating and falling apart." Asked how the country might get out of this desperate economic situation, the analyst noted that it's difficult to provide an answer to that question, "because the prime minister did not mention his vision of the economic model which Ukraine needs. Accordingly, it's unclear how he plans on solving this problem and escaping this crisis. For now he's only stating the obvious, but hasn't offered any concrete solutions as to what Ukraine's 'national product' can be, and in which area." In other words, Slobodchuk noted, a diagnosis has been made, and that's a positive thing, "but no answers have yet been given on how to treat the patient's illness…In our own time, we worked with [former Prime Minister] Mykola Azarov. He had an import substitution program. 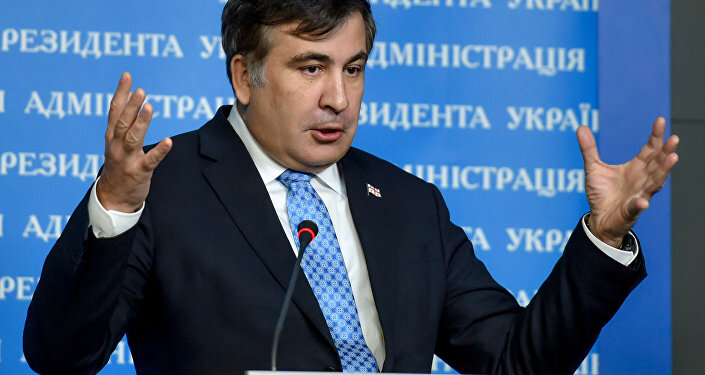 Specifically, he proposed gradually replacing imported products with those of Ukrainian origin. In areas this program remained on paper, but some positive steps in this direction were made. Groisman and his cabinet, on the other hand, have not proposed even this."